Suitable for events with approximately 75 women! A sampling of Leslie Ludy’s books for your simulcast event! Ideal for an event with approximately 75 women. 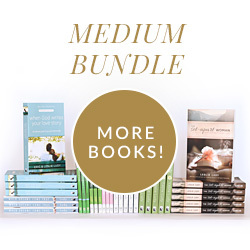 This bundle includes 64 books total ($9.00/book).